Curt Noll enlisted in the Navy at age 18 in February 1943 and served until 1949. After training, he was eventually assigned to a Navy Gun Ship. His ship was sent to the South Pacific where the US was taking back some of the islands the Japanese had overrun after the attack on Pearl Harbor. 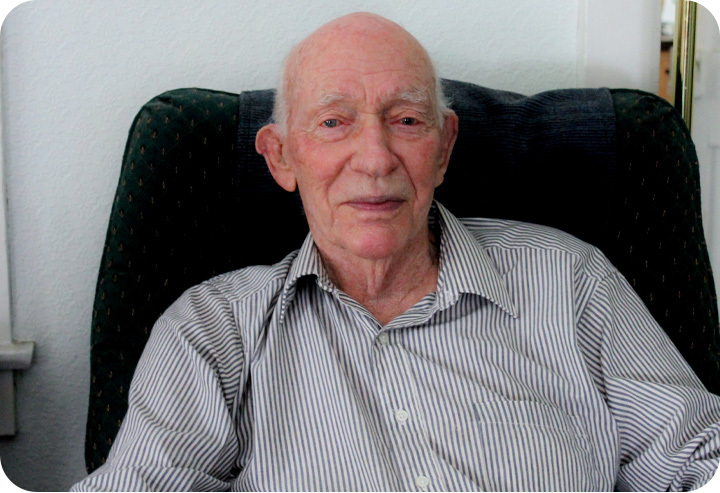 His job was to shoot down any Japanese planes attacking the Americans. He participated in seven different battles—with the last in Okinawa. He shot down one Japanese Zero and crippled several others. Curt tells the tale of going wild boar hunting with some of his friends in the New Guinea jungle with limited firearms. They didn’t see any wild boars but they came across some Japanese taking a bath in a mud hole. The Americans looked at the Japanese, and the Japanese looked at the Americans, and both parties ran their separate ways with the Americans following Curt back to their ship. Curt finished his six-year military service aboard the presidential yacht, the USS Williamsburg, under President Truman. His wife Millie is a great support to Curt. Wilbert served in the Marines, 1951-1954. 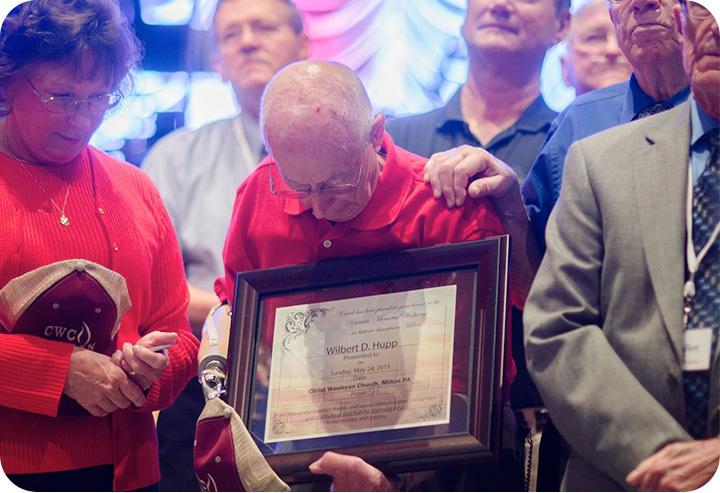 During his military career, Wilbert served in Korea during the war. His duty was to locate mines and booby traps on a day-to-day basis and dismantle them before danger was brought to his fellow Marines. Depending on the circumstances, Wilbert would either dismantle or detonate the mines and booby traps and saved many lives as a result of this dangerous duty. His greatest victory was conquering the love of one of the supporters who wrote to him to encourage him while he was overseas. Almaretta saw Wilbert’s picture in the newspaper, and, at that time, there was a great push for the people “back home” to write to the soldier boys overseas. She thought it was a good idea and sent him many perfumed letters! Her letters were passed around to the other Marines as they hung onto the scent of these sweet letters. They struck up a relationship, and later, a marriage that has lasted 61 years. Joe served in the Army, 1952-1954. 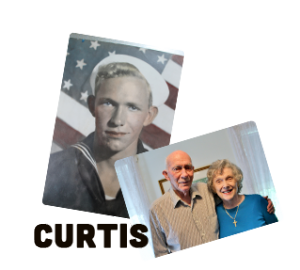 He served in combat in Japan and Korea. 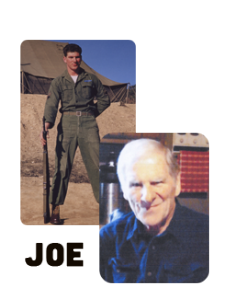 Joe was assigned to an infantry unit, was sent to the front lines, and spent eight months in combat. One of his fellow soldiers suffered a severe wound to his leg. Joe wasn’t satisfied with the treatment one of his men was receiving from the medics, so he took it upon himself to carry this man back to the aid station which was quite a distance from the front. Joe volunteered for a mission to rescue a trapped platoon along with about 14 other men. He was offered the Bronze Star Medal for valor, but would only accept it if all the men would receive the same recognition. 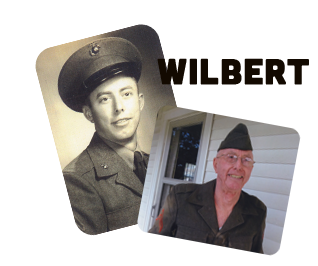 During his service, Joe and two others were captured and taken behind enemy lines. He and his friends managed to escape, living on crackers and mayonnaise for six days until they were able to rejoin the American troops. Once they found their lines, they were fired upon until Joe convinced them they were Americans. As Joe was preparing to return home, he wanted to make sure to take care of all the details. Joe’s platoon had a Korean boy who did errands for the men for a small fee. Joe also took under his wing a female dog who had pups and wanted to make sure someone cared for the dogs. He raised donations from his men to support the dogs, and then approached the Korean boy giving him the money to care for the dogs. Later, as Joe was waiting for his final orders to return home, he saw the boy and asked him how the dogs were doing. The boy replied that they were the best meal his family had in a long time! 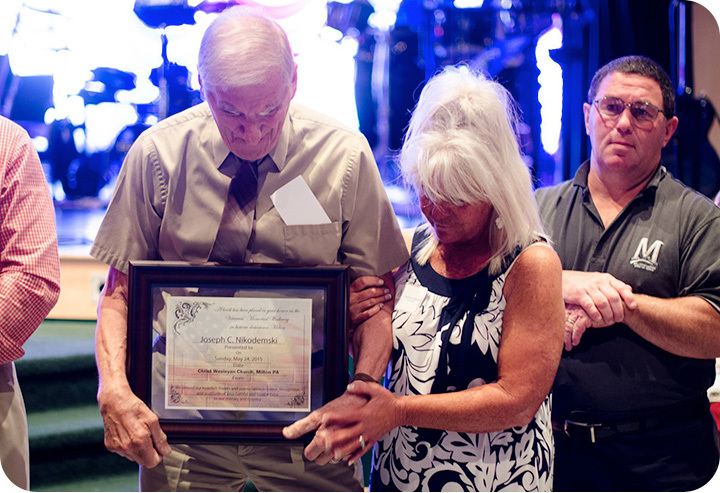 Joe served his country with honor and we are glad to recognize his efforts. Joe is married to Antoinette and has a son, two daughters, and grandchildren!